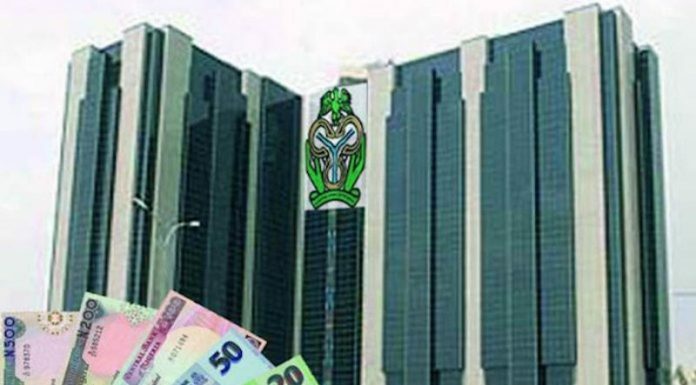 The Central Bank of Nigeria (CBN) yesterday intervened in the wholesale segment of the foreign exchange market, offering the sum of $100 million to dealers in that window. In the latest round of intervention, which was announced yesterday, the CBN also made interventions of $55 million each in the small and medium scale enterprises (SMEs) and invisibles segments to meet the needs of customers. The Director, Corporate Communications Department at the CBN, Mr. Isaac Okorafor again assured of the Bankâ€™s continued mediation in the interbank foreign exchange market in order to guarantee stability. The Bank had last week also intervened in the wholesale segment of the inter-bank foreign exchange market to the tune of $210 million. Meanwhile, the naira continued its stable run against the United States dollars yesterday, exchanging at an average of N362/$1 in the BDC segment of markets across Lagos and Abuja. The President of the Association of Bureaux De Change of Nigeria (ABCON), Alhaji Aminu Gwadabe, was quoted in a statement to have said measures initiated by the CBN including the sustenance of dollar supply to over 4,000 Bureau De Change (BDC) operators across the country through the International Money Transfer Operations (IMTOs) forex window has helped the status of the local currency. Continuing, he said the determination of the central bank to maintain the IMTOs forex window for the over 4,000 BDCs on weekly basis has brought steady liquidity in the market and discouraged unethical market behaviours like hoarding, speculation and frivolous demand. Hope they know what they're doing?